ARIEL Theatrical Announces 2019 Season! In addition to the performance programs, ARIEL will offer a one-week theater camp (Kids On Stage) and three sessions of our day-time class (The Play’s the Thing) for home schooled children, grades K-12. 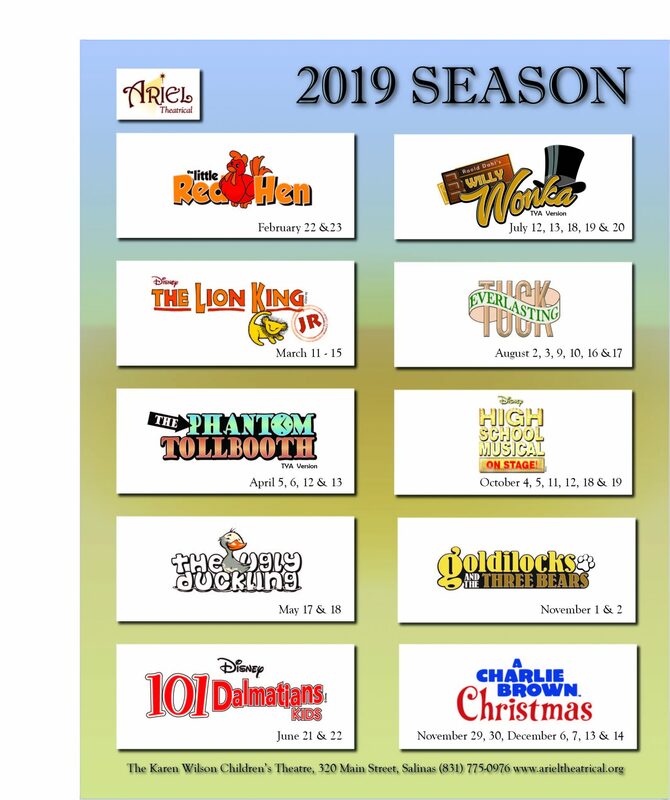 ARIEL will also continue the REACH Theatre program, a partnership with Special Kids Connect, and several off-site theatre programs throughout Monterey County. Located in the heart of Salinas City Center, ARIEL Theatrical provides opportunities for participants to explore the stage and learn valuable lessons about Accountability, Respect, Integrity, Excellence and Leadership. ARIEL’s finest productions are not the plays but the responsible young people who come together in a positive, collaborative spirit to learn, perform and share experiences that they will carry with them for a lifetime. Registration forms are available in the lobby at ARIEL and online. Many programs offer early-bird discounts so it pays to plan ahead. For more information visit our website at www.arieltheatrical.org, call 831-775-0976, or stop by the Karen Wilson Children’s Theatre at 320 Main Street, Salinas. We look forward to seeing you and your family at ARIEL soon! 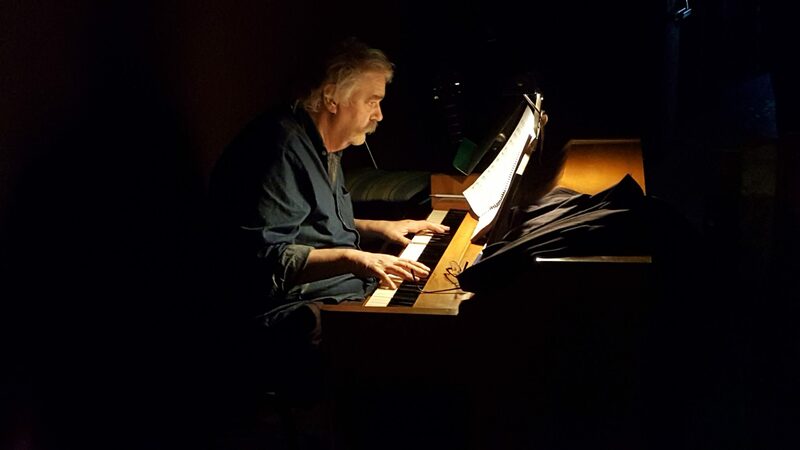 The maestro – Barney Hulse – in the glow of the piano light at ARIEL. “Sunrise, sunset, swiftly fly the years. With great sadness we say good-bye to our friend and musical director, the extraordinary and lovely maestro, Barney Hulse. Barney, who passed away Sunday, September 9, brought music to our stage and patiently brought out the best in us in for more than 30 years. It is inconceivable to imagine our productions without his brilliant piano accompaniment or our world without his generous and kind spirit. Thank you, Barney, for every beautiful note. from ARIEL participants, friends and colleagues.